Indian Embassy urge Indian Students to Ask THESE Three Questions Before Taking Admission in American Universities The law enforcement agents of the United States set up fake universities to expose immigration fraud. Scores of students from India are setting sight on moving out of the country for a stable future but not doing enough background scrutiny before advancing is pushing them to hardships. In January, over 100 Indians landed in trouble for enrolling at a fake educational institution set up by the United States authorities to expose immigration fraud. Accordingly, the Indian Embassy recently urged students from India to “exercise their due diligence” before seeking admission into American universities. The embassy advised students to take into account several factors, in particular, three questions. “Does the university function from campus or merely maintains a website and has administrative premises only? If not, such universities are not to be regarded as a bonafide educational institution and admission into such universities should be avoided. “Does the university have a faculty and regular instructors/educators? If not, admissions to such universities should be avoided. It may be noted that such universities typically employ only administrative staff and their websites have no information in respect of faculty,” the advisory said. “Does the university have a proper curriculum, hold regular classes and actively implement academic or educational activity? If not, admissions to such universities may be avoided. “Students admitted to such universities, even if in possession of regular student visa, may be tried for violation of visa norms and subjected to detention and subsequent deportation from the U.S.,” it said. 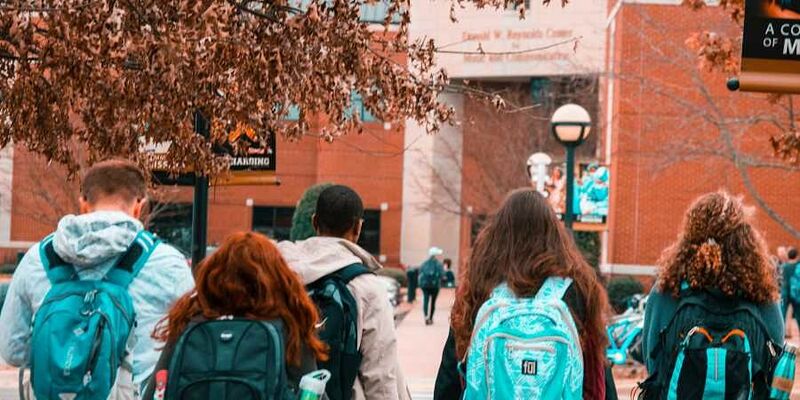 “This advisory is not exhaustive and intended only to provide general guidance to the students in taking the right decision while seeking admission in U.S. universities,” the Indian Embassy added. The law enforcement agents of the United States set up fake universities to expose immigration fraud. The most recent examples of such universities are University of Northern New Jersey set up in 2013 and of Farmington University established in 2015 by the Homeland Security Investigations (HSI) in the Department of Homeland Security of the United States. In both cases, a number of Indian students enrolled into these universities, paid the required tuition fee and were granted F1 visa as well as Curricular Practical Training (CPT) permission. These Indian students, many of whom claimed later that they were caught unawares, were subsequently detained by the U.S. law enforcement agencies and subjected to deportation proceedings, the advisory said. The students were accused of having violated the U.S. immigration laws and of knowingly remaining enrolled in a ‘fake’ university for the sole purpose of continuing their stay in the United States without the intention of pursuing any academic activity. Over two lakh Indians studying in American universities!